This recipe for Polish herrings in oil, sledz w oleju (SHLEDGE vef oh-LAY-yoo), is from chef Marek (Mark) Widomski, founder, and director of the Culinary Institute in Cracow, Poland. Herring is one of Poland's favorite appetizers. Salt herring, required for this recipe, are generally available from the barrel at Polish, Jewish, and other ethnic delis. Raw herring is heavily salted to prevent spoilage, so you will need to soak them to get rid of the saltiness. 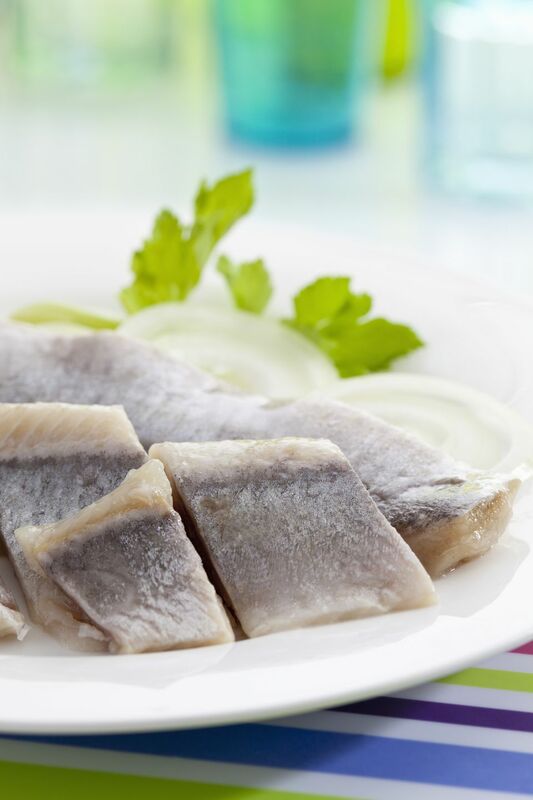 Poles love herring in myriad forms—pickled, creamed, fried, whole, fillets—and in another appetizer recipe known as rollmops or rolmopsy in Polish. Herring is featured throughout the year in Poland but especially at holiday times like Christmas Eve, known as wigilia, New Year's Eve celebrations, and on Shrove Tuesday before Lent. Soak herring in cold water for at least 1 hour. If very salty, repeat, changing the water each time. Drain thoroughly and slice herring into bite-size pieces. Place in a jar large enough to accommodate the pieces and cover with oil, allspice, peppercorns, and bay leaf. Close the jar. Refrigerate for 2 to 3 days before eating. This will keep refrigerated up to two weeks. Serve with finely chopped onion or onion slices, lemon, and parsley or dill.